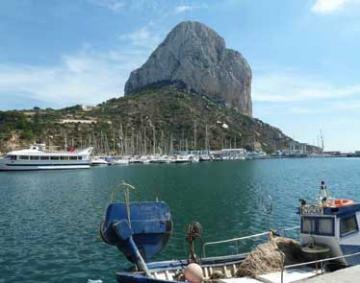 Located in Calpe on the Costa Blanca, an attractive holiday rental property offering comfortable self-catering accommodation along with a private swimming pool near to the Bassetts beach. Villa accommodation covering 100 m² for 6/7 people, 3 bedrooms, 2 shower rooms, air conditioning, wifi. The house comprises a living and dining room with single sofa bed and an equipped kitchen. Double bedroom and two twin bedrooms (2 x 90 cm wide beds in each). Two shower rooms with toilets. The interior is light and airy. Set in a small enclosed garden with an eight-metre long pool, there is garden furniture and a barbeque. Parking space for two cars. The Bassets beach is 1 km. Sandy beach Fossa 2 km. Calpe centre and supermarket 2 km. Rail station 6 km. Terra Mitica attraction park 25 km. Aqualand 25 km. Alicante airport 80 km. Security deposit: 200 € to be left on arrival. - Compulsory supplement to be paid on arrival: 160 €, including linen, final cleaning and wifi. - Cot: 25 € per week. - Air conditioning package: 10 € per day - Extra bed if accepted in the villa: 90 € per stay. - Pets allowed on request: 45 € per stay. Supplements must be paid on site by cash or credit card upon arrival.